Hello..^^ It’s been a long time everyone! Time really passes fast.. Suddenly! 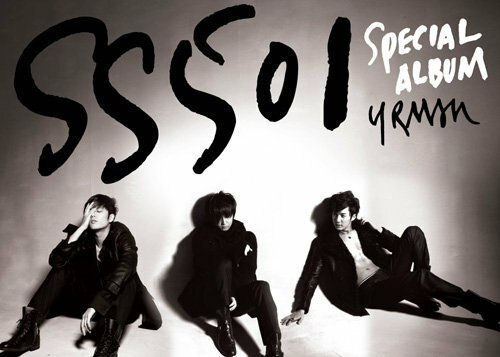 It seems like just yesterday when we 501 had our first stage performance..
We finished our Asia Tour concerts splendidly.. It still feels like a dream..
And our pretties who are watching over us.. I am very thankful. We made it, we made it!! Heehee Oh!! Because we made it during Encore concert.. Members threw me into the water with SaengIlBbang (name signifying friends jokingly hitting the person during his birthday) as an excuse..
Everyone knew it right!!?!!?!!?!?!?!?!?! I will have my revenge.. Always..^^ Thank you for bringing laughter to me. Thank you for giving me strength.. Photos from debut till now.. I went to find the photos that Pretties have uploaded..
Well, awhile ago I read about these words.. saying ‘I am a role model’.. Seeing the words, I made up my mind again..^^ I will become a role model to someone..
To work even harder.. the thought that I must do it..!! It feels really good deep within my heart.. Hehe Anyways!! Becoming nervous!! Until then, study hard! Work! Hard too~~ Understand?! Annyoung Byebye~~ Let’s meet soon, fast.. Miss you! Sweet Kyu! Leaving a message for all of us today! And it's a looong message. I love it! Thanks to xiaochu for translating! She's really making all of us happy. It's such a joy to read messages from SS501. First Young Saeng, and now Kyu! I hope the other 3 members will leave messages too. Reading Kyu's message, I'm touched. He's still as sweet as ever. Although not as troublesome as Young Saeng's April Fool message. Hahaha! And it's good to see pictures that the members themselves shared and uploaded. Nice to see Kyu's family! More, more, more!! !